The Charleston Police Department is pleased to announce the existence of two (2) Safe Exchange Zones in downtown Charleston and in West Ashley. The downtown Safe Exchange Zone is located in the surface parking lot of the Charleston Police Department at 180 Lockwood Blvd on the right side (closest to the Marriott Hotel) and is specially marked with signage. At this location, those entering the gated lot will need to go inside to the front desk at the Police Department to get a parking code to get out of the lot. Users may wish to make the exchange inside the lobby as an extra measure of safety. The West Ashley location is located at the Team 4 Office at 3545 Mary Ader Avenue. The marked parking space is to the right of the building. This building is NOT staffed 24 hours a day. The Safe Exchange Zones provide a safe environment for people, who buy, sell, or trade items in private party transactions, with people they don’t know. Additionally, the area can be used as a safe and neutral site for child custody exchanges. The goal of the Safe Exchange Zone is to help reduce and deter fraudulent transactions, thefts, violent custody disputes and robberies. 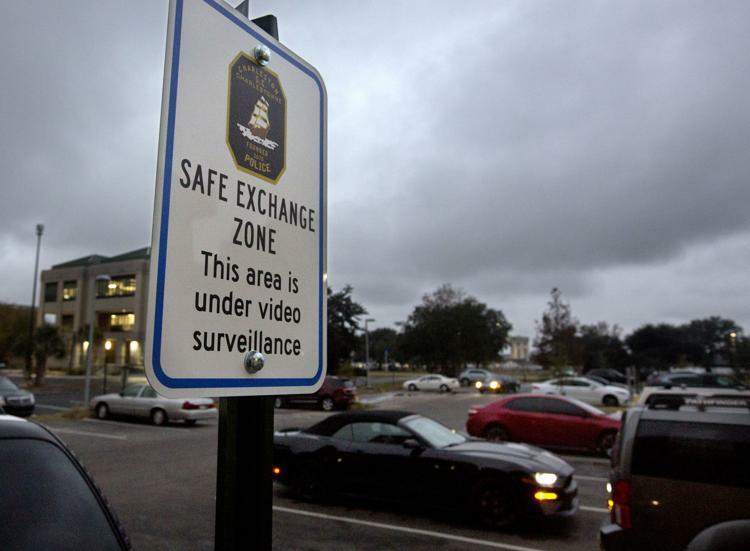 The Safe Exchange Zones consist of parking spaces marked with Safe Exchange Zone signage and are under 24-hour surveillance video. The exchange of drugs, weapons, alcohol, and/or any illegal items is not permitted. The employees of the Charleston Police Department cannot act as an official witness to transactions, do not give legal advice, and will not settle civil disputes related to any transactions. The City of Charleston or its employees are not responsible in any way for the value, authenticity, or legitimacy of such transactions. All exchanges must be person-to-person. In the case of custody transfers, the Safe Exchange Zone is not a drop-off area where parents can leave children for a later pick-up time. The Safe Exchange Zone parking spaces are available free on a first-come, first-serve basis.